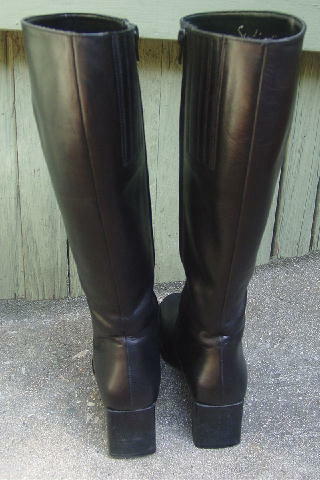 These black leather boots have wide toes and were made in Italy by Sudini. 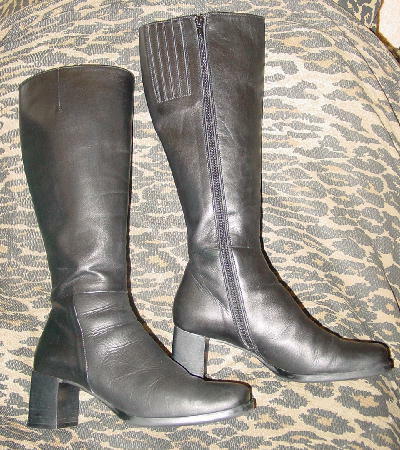 They have black faux leather linings, stacked heels, and rubber nonskid soles. There are top to bottom inner side zippers and an upper 3 3/4" high by 2" wide leather strip and elastic panel. The vamps have wrinkles and the heels have scuff marks. 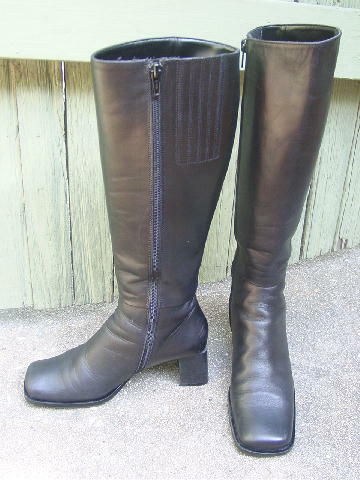 The left foot toe has 3 scratches and the right boot has a scrape mark to the right of the zipper. They're from a British model. They're too small for her now. top to bottom heel 16 1/4"